Diwali, my favorite festival is just around the corner and I can’t wait to celebrate it with my family and friends. Diwali is the biggest and most important festival of India. Diwali or Deepavali means ‘a row of lights’. This five day festival, honors the victory of good over evil and brightness over darkness. Apart from prayers, lighting the candles, buying new clothes and exchanging gifts, food plays an important role. All the five days of Diwali is celebrated with traditional food and sweets. Its a great time of the year to invite friends and family over a meal and celebrate the auspicious occasion. Cooking an elaborate meal every day becomes tedious and we end up dining at restaurants that offer good Diwali spread. 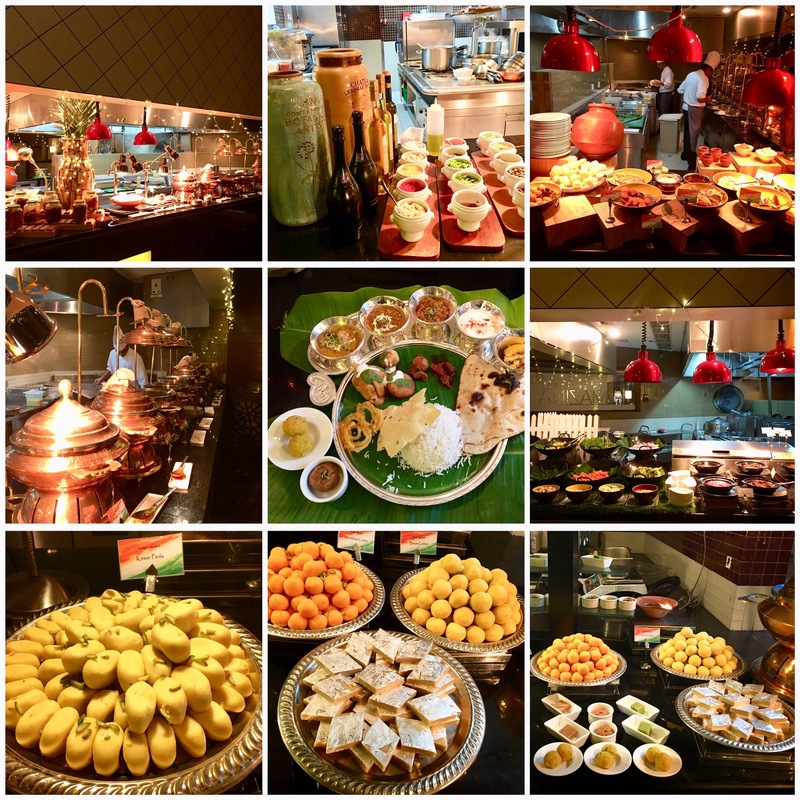 Many restaurants in Dubai are offering great Diwali dining deals. We decided to try the exclusive dinner menu at Mazina, an all-day-dining restaurant at Address Dubai Marina. We had already visited Mazina for their brunch and this was our second visit. The special Diwali menu is available for dinner everyday from October 12th-21st between 7pm-11pm at Mazina. And it is priced at AED 175 per person. 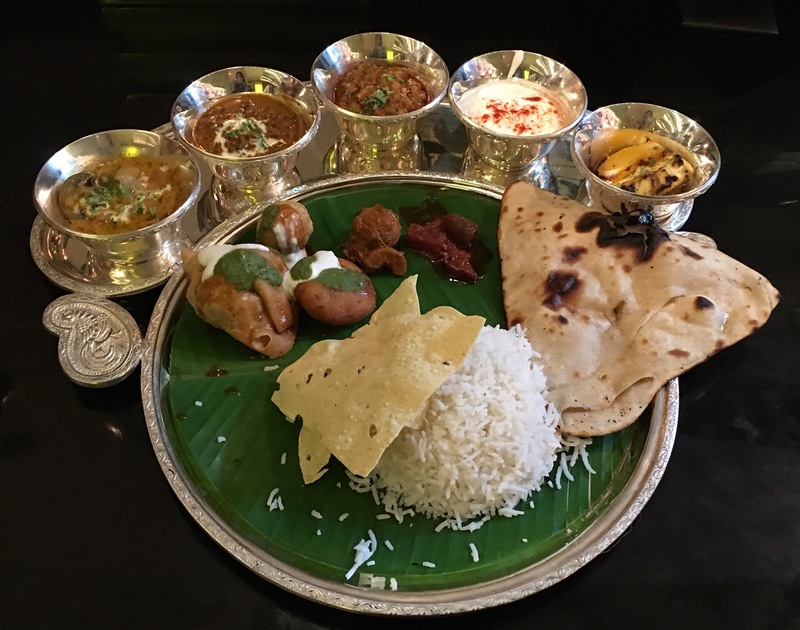 There will be 20 dishes served on a Thali, that will have authentic flavors and fresh ingredients. Apart from the special Thali, you can enjoy their international cuisine from their various counters like- Chinese, Japanese, Mongolian Barbecue, Arabic, Indian, Italian, American etc. For The Diwali Promotion, Mazina’s Indian buffet selection offers a huge variety of dishes, both vegetarian and non vegetarian. You can expect everything from pickles to soups, chaats to kebabs, starters, mains and desserts. As we are vegetarians, we asked the chef to make us vegetarian Thali. Our beautiful silver-plated Thali filled with delicacies looked tempting. We liked the kachori, samosa, paneer tikka, dal makhani, malai paneer, Kashmiri morels curry, galouti spice mix and veg jalferazi. The food had authentic Indian flavor and tasted incredible. For desserts, we were spoilt for choice. There was a wide range of Indian desserts. 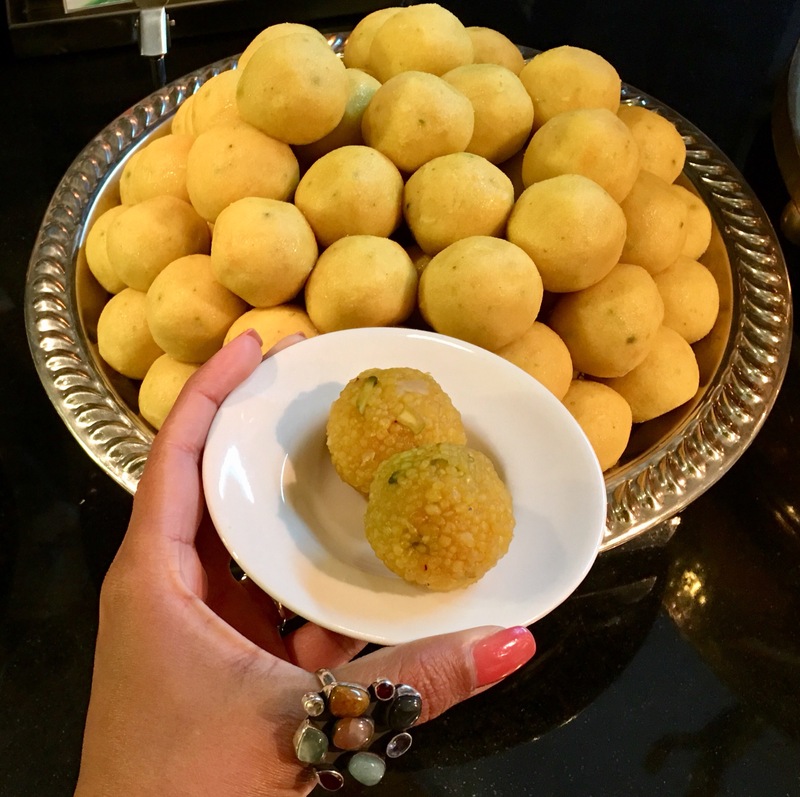 Some of our favorites were besan ladoo, coconut ladoo, motichoor ladoo, peda, jalebi, kaju katli, gajjar ka halwa, pistachio barfi and gulab jamun. If you are not into Indian desserts, you can try their international dessert selection that has a good variety of cakes, cupcakes, pastries, puddings, ice creams and more. We really enjoyed our Diwali dinner at Mazina. The food, the service, the hospitality and the atmosphere was amazing. If you are planning to have Diwali dinner at a restaurant, then you can definitely consider Mazina at Address Dubai Marina.